"Holiday shoppers can find it ALL under the Mistletoe! 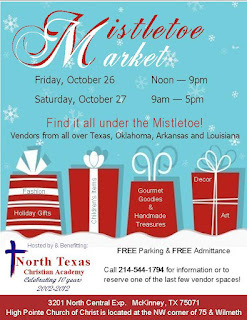 Vendors from all over Texas, Oklahoma, Arkansas and Louisiana are showing off and selling their fine fashions, unique jewelry, gourmet goodies, home & holiday decor, children's gifts, handmade and personalized items. FREE Parking and FREE Admittance, located inside High Pointe Church of Christ at the NW intersection of hwy 75 and Wilmeth." These fees include pipe, backdrop drape, side rails & chairs. Applications are available here and are due by October 15th, 2012. 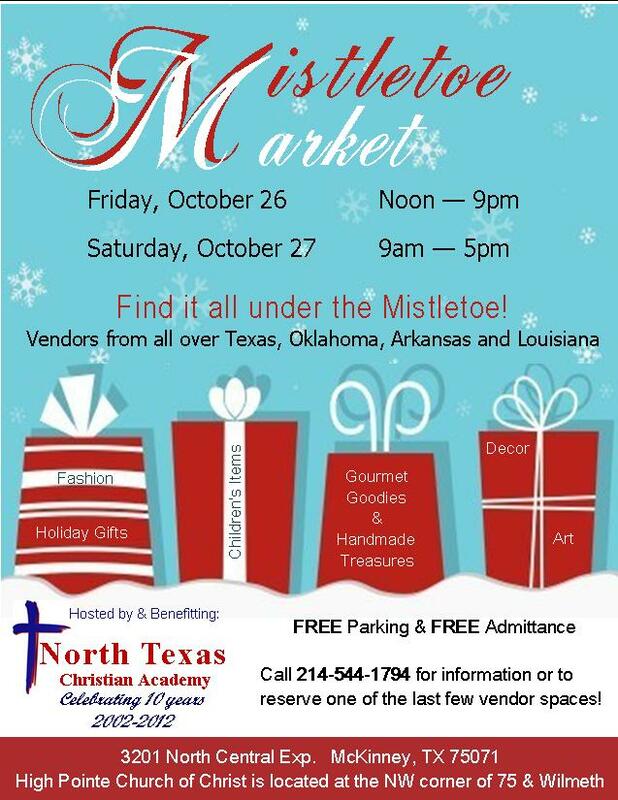 For more information, visit their website or contact tyoung@northtexaschristian.org / 214-544-1794 or christine@encore-expo.com.